1971. The USSR-backed India-Mukti Bahini alliance is on the brink of war against the America-aided Pakistani forces. As the Cold War threatens to turn red hot, handsome, laughing Ishaan Faujdaar, a farm boy from Chakkahera, Haryana, is elated to be in the IAF, flying the Gnat, a tiny fighter plane nicknamed ‘Sabre Slayer’ for the devastation it has wrecked in the ranks of Pakistan’s F-86 Sabre Squadrons. 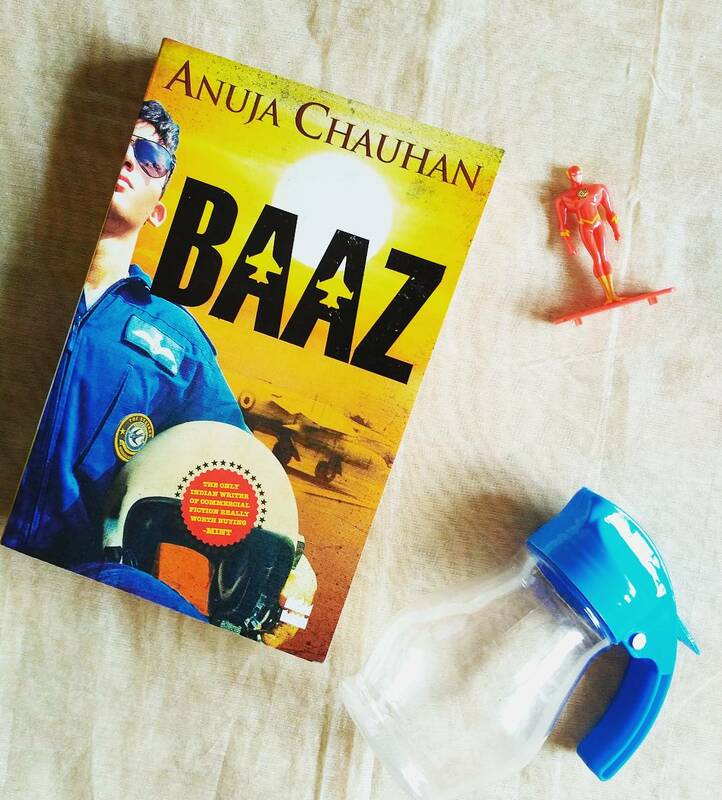 Pulsating with love, laughter and courage, Baaz is Anuja Chauhan’s tribute to our men in uniform. When a book is based on the 1971 Indo-Pak War, you expect more of a grave and critical read. But this is where Chauhan’s magic in storytelling shines through. She has taken a very serious incident and turned it into a light and happy read. Yet, nowhere is the charm of the IAF or the earnestness of the war lost. Chauhan deserves durable credit for producing this piece. Baaz is characterised by the inexplicable Jatness of Ishaan Faujdaar, with his macho and suave self, who indisputably enjoys the approaching war and the pacifist mentality of the ultra sleek and modern Tehmina Dadyseth. Tehmina or “Tell-me-na” is a strong advocate against the anguish and despair brought by a war-stricken country. Inevitably, sparks fly and opposites attract and Chauhan’s funny quips and characterisation steal our hearts. Chauhan has always had strong female protagonists in her previous novels and it was a fresh change when there was a gender reversal in Baaz. Shaanu’s baaz-ke-maphik (like a baaz) swiftness and his sweet arrogance makes the ladies go swooning. This Chakkahera (a village in Haryana) guy loves thrills and takes on challenges to satisfy his thirst. His light banter and intense friendship with Raka and Maddy touches our hearts. Other than the fascinating characters, the book delves into the war scenario excellently. The research and effort that went into it is evident. And the signature Chauhan twist in the tale is something worth eagerly waiting for. If you are looking for a light, fun and entertaining read that talks about a nationally important event without sounding didactic or preachy then you definitely need to pick up this new release by Anuja Chauhan. Even though the plot gets dramatic and unreal at times but the simple and honest writing style of the author leaves the readers with a satiated smile. Review copy sent by the publisher.